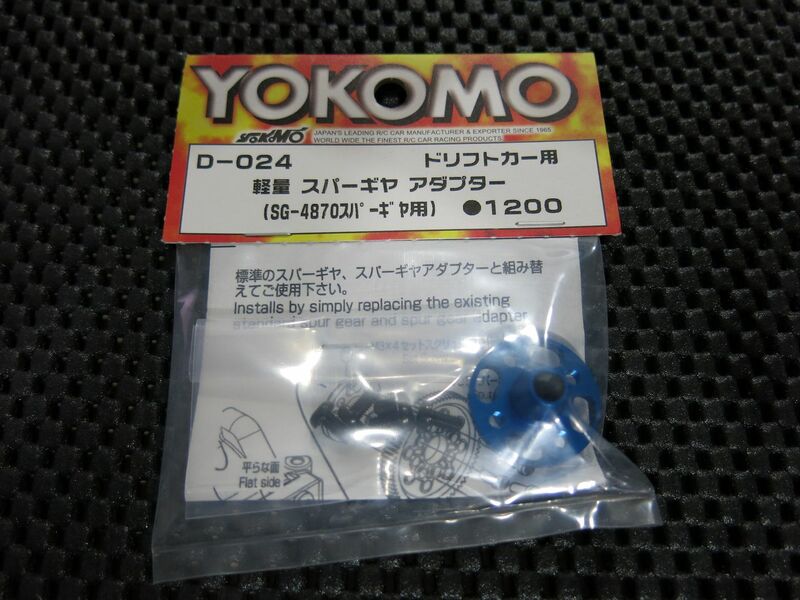 Well, not team suzuki, just Yokomo. 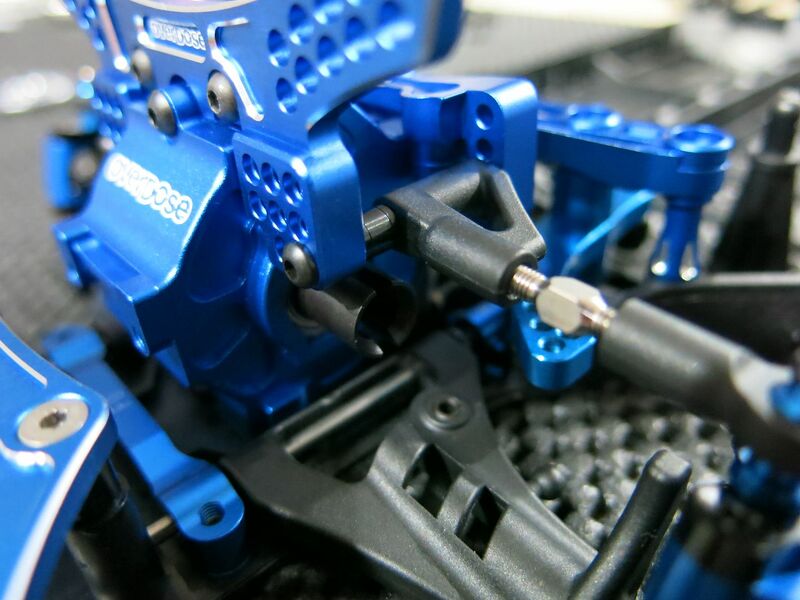 It looks like they are designed to work well with 10 and 12 deg castor block or Type C ball. I got the Kazama ones, basically the same, but with some flexibility. 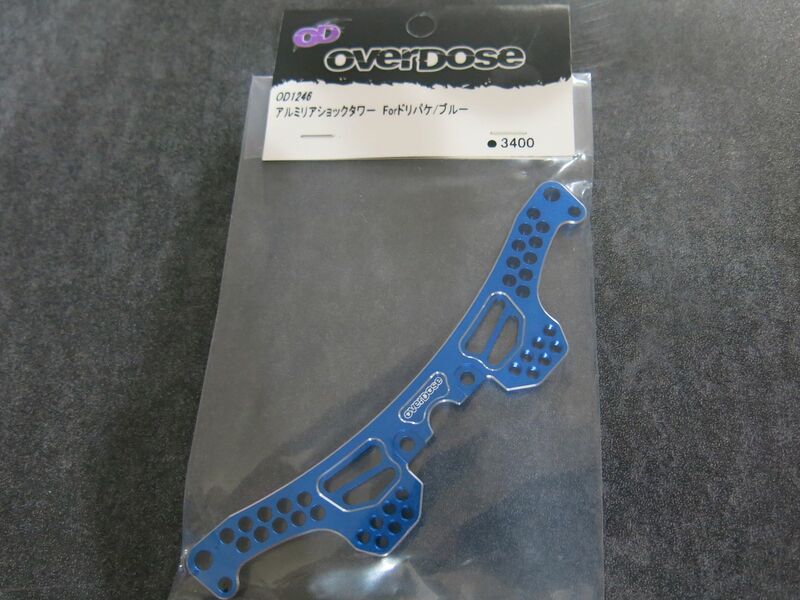 Famous guy takeshi "TaKe-C" was using one of these JECT convers in Japan for 2WD. It looks the same but the front end has reverted to the 4wd version from a type C setup. 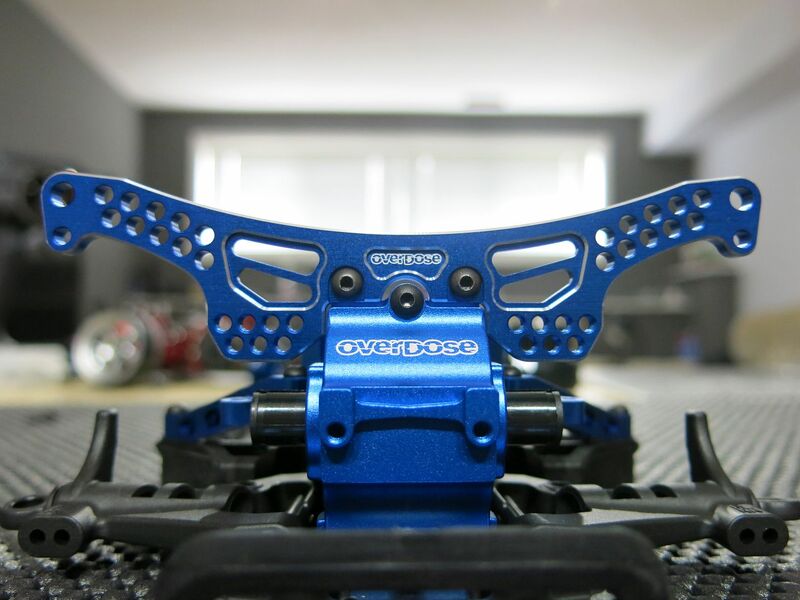 I have a pic in my RC World magazine. Someone thought it was good value... sold. A few more parts came in, and I'm finally done school, so I decided to work on the car a little bit. 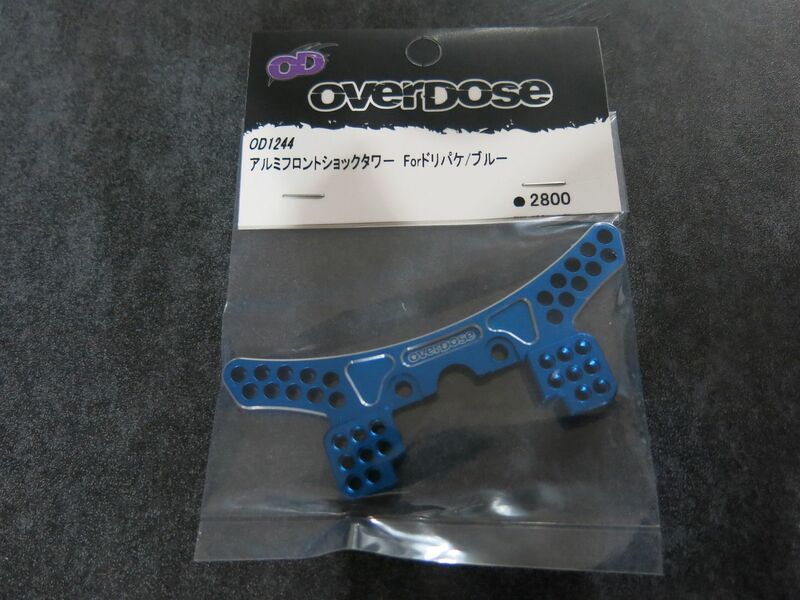 I received my Overdose front Type-C suspension holder, as well as suspension arm pins(included). 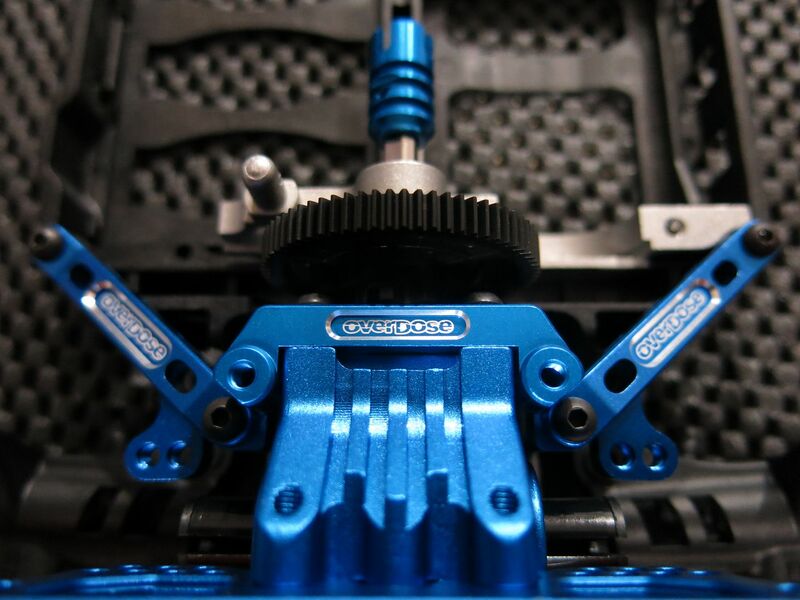 The suspension pin screws into the front of the shock tower with the new mount, I like this design a lot. 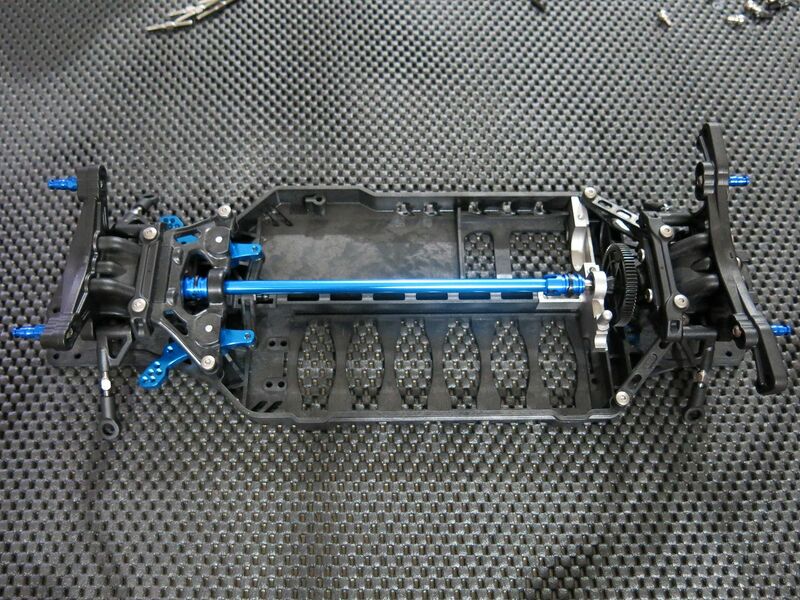 Here is a good shot of the front shock tower, lots of adjustability options for the dampers. I then got to work on mocking the rear up. 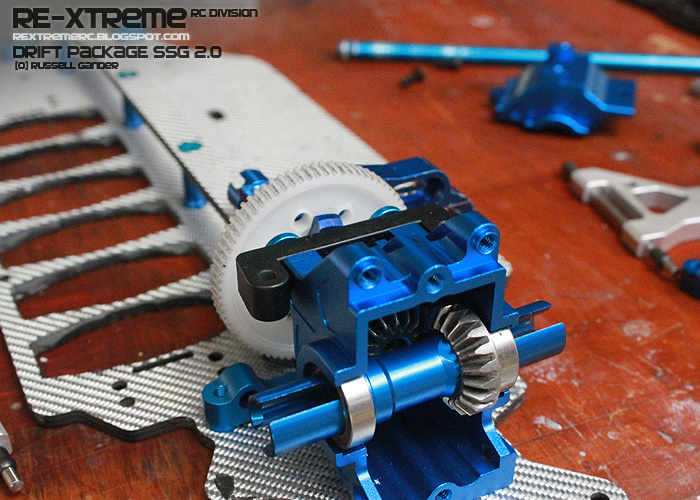 The rear of the Drift Package is cool, remove 7 screws from the bottom of the chassis, 2 from the top, and it comes out as one piece. Rear end mocked up ready to go on the chassis. 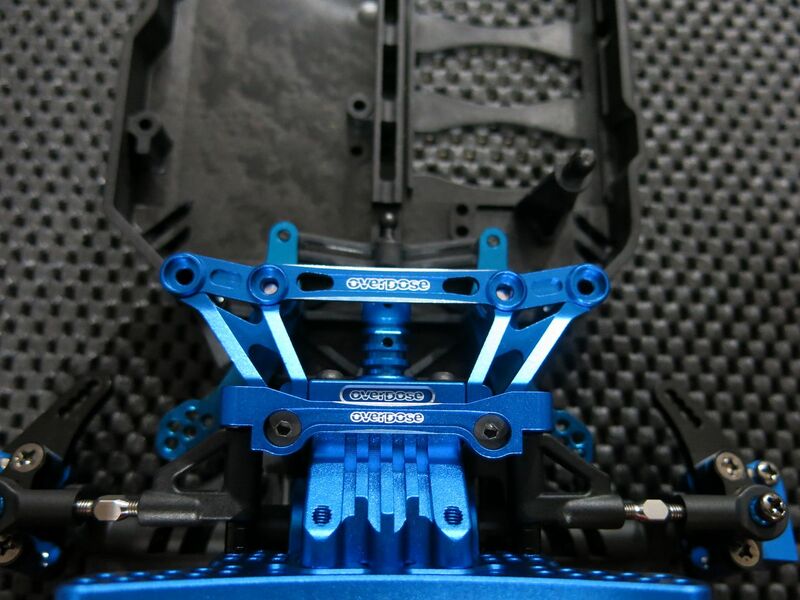 And the rear shock tower. Again, tons of adjustability options. I won't be using a Type-C setup for the rear of the car..
And here is how it'll sit for a little while, while I wait for more parts. Very happy with the build so far, especially the quality and design of the front Type-C mounts. Slowly but surely it's coming together. 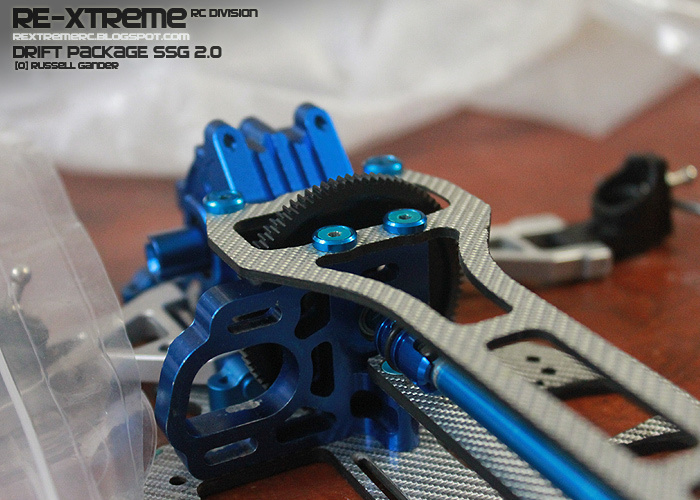 (04-19-2013, 11:50 PM)RE-Xtreme RC Wrote: Well, not team suzuki, just Yokomo. Will you be trying those knuckles out on your planned RWD project? They have a nice design for sure. Also, are you planning to eventually go for a JECT conversion with your RWD project? 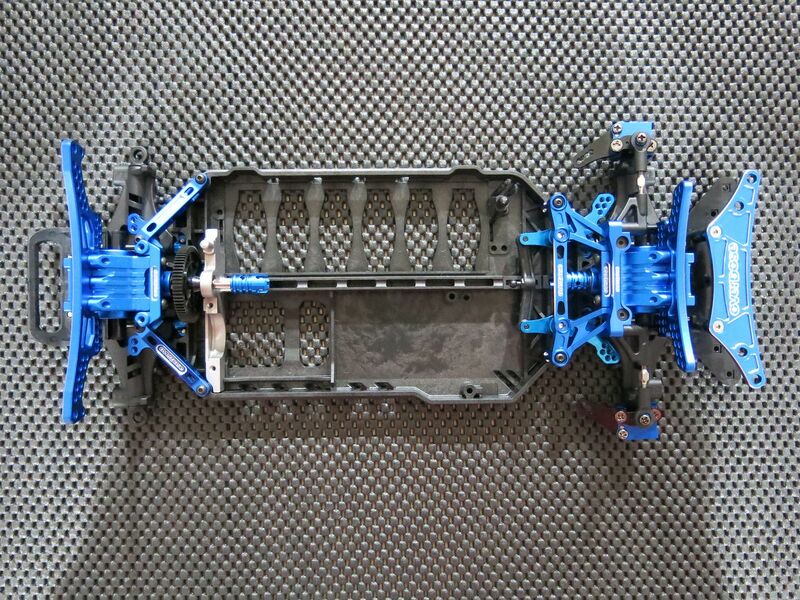 I really want to run that RC926 chassis you posted earlier with this car now. 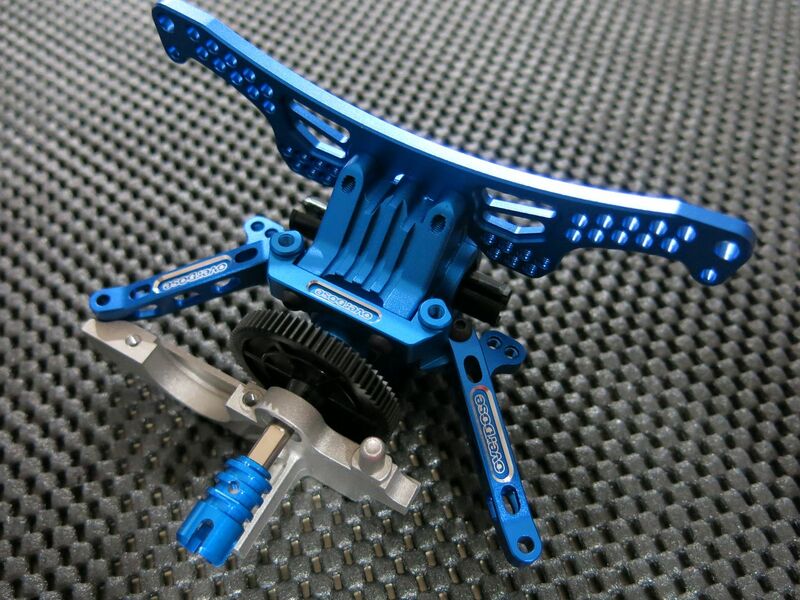 I decided not to go with the aluminum chassis from Team Suzuki. 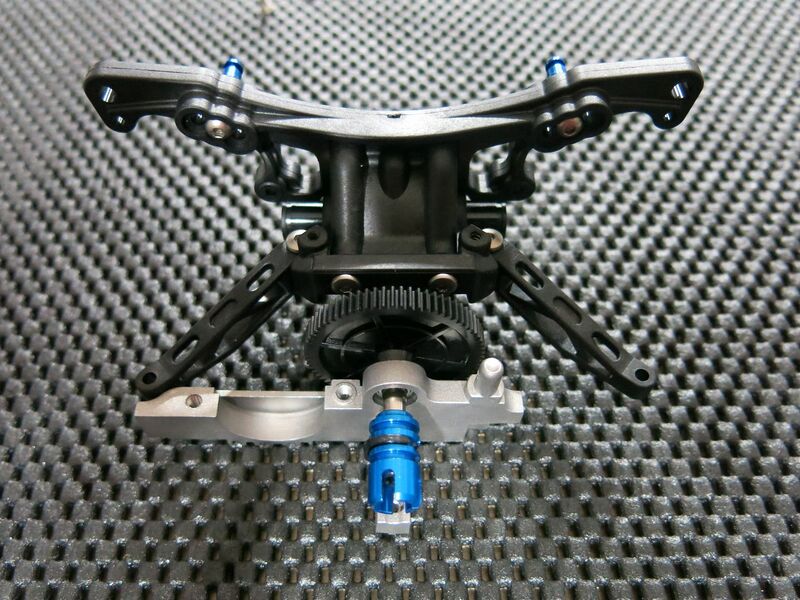 It would also mean my current Type-C suspension arm supports wouldn't work with the chassis though. 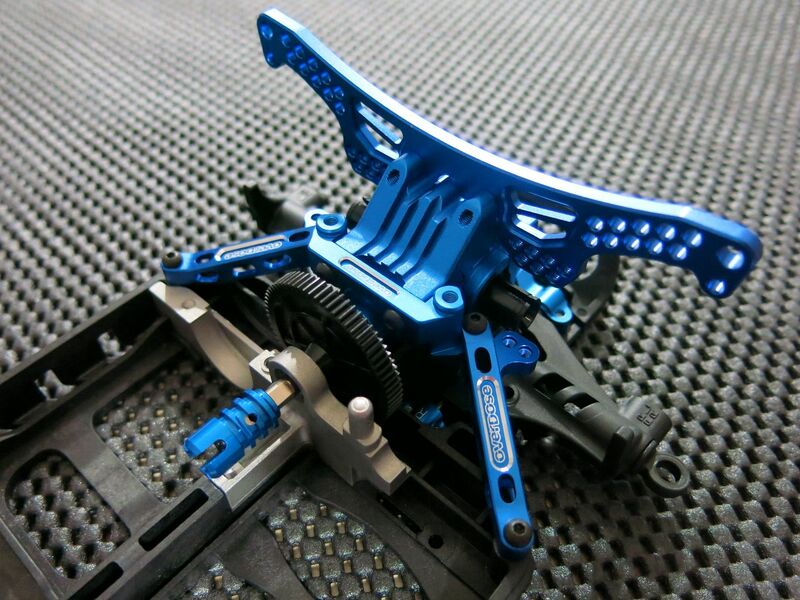 Agreed, quality of parts is awesome. 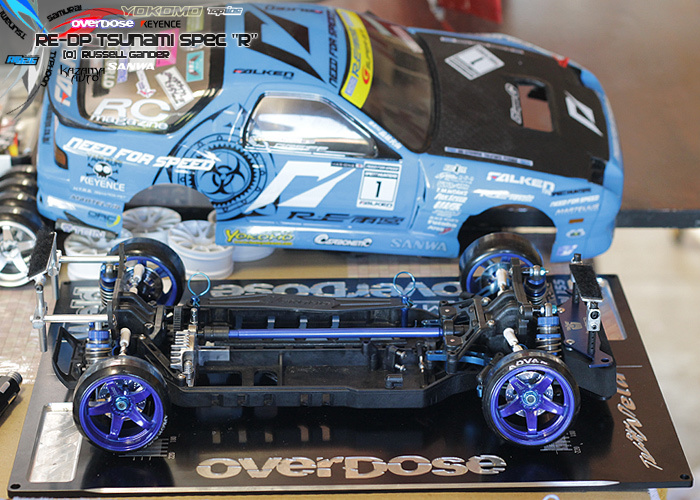 They have basically created a full chassis with all the Drift Package parts lol. 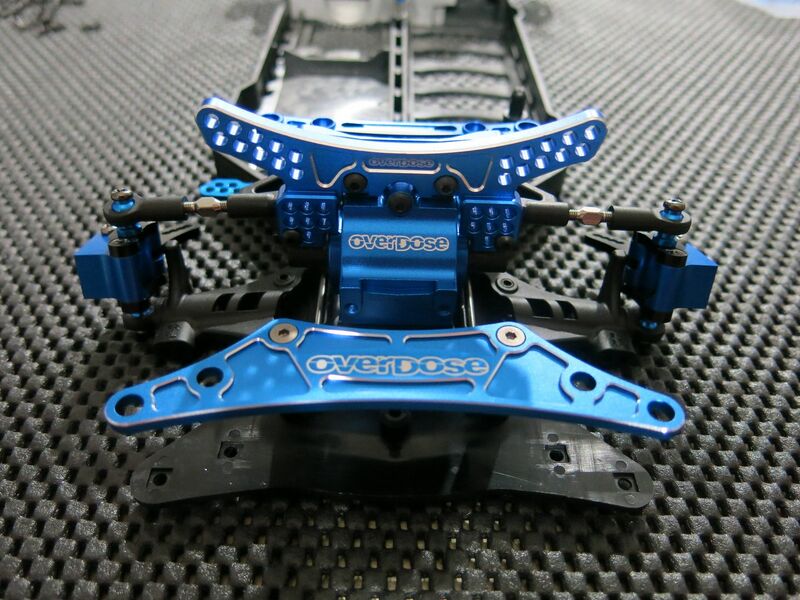 I wonder if they'll come out with their own chassis plates for it like they did for the DRB and TC-FD. You need a spur adapter big time. 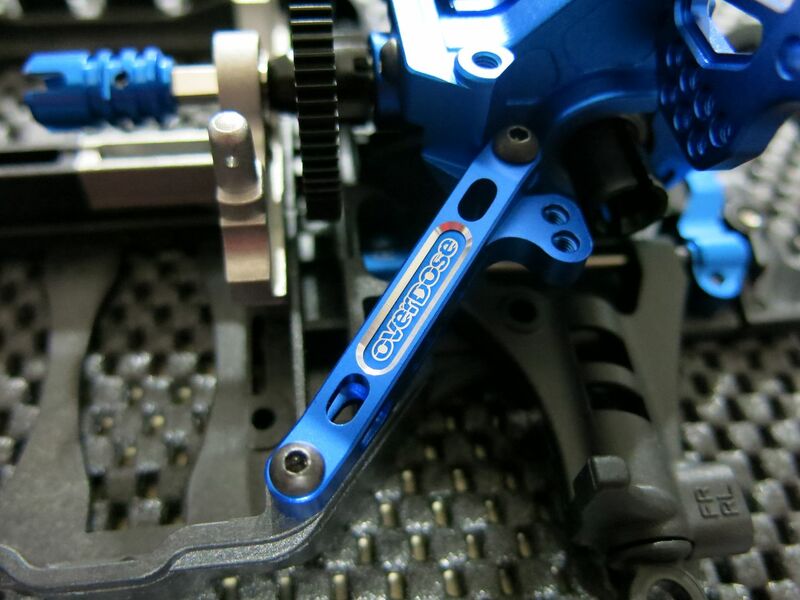 TN Racing make blue gear shaft... It's a nice item. But you don't really see it on mine. On yours it may be more visible. I was using my Drift package last night.... I love this thing at the moment. yeah M's make the solid rear spool. Damn...!!! too bad about the clearance. I have started my rear wheel drive. 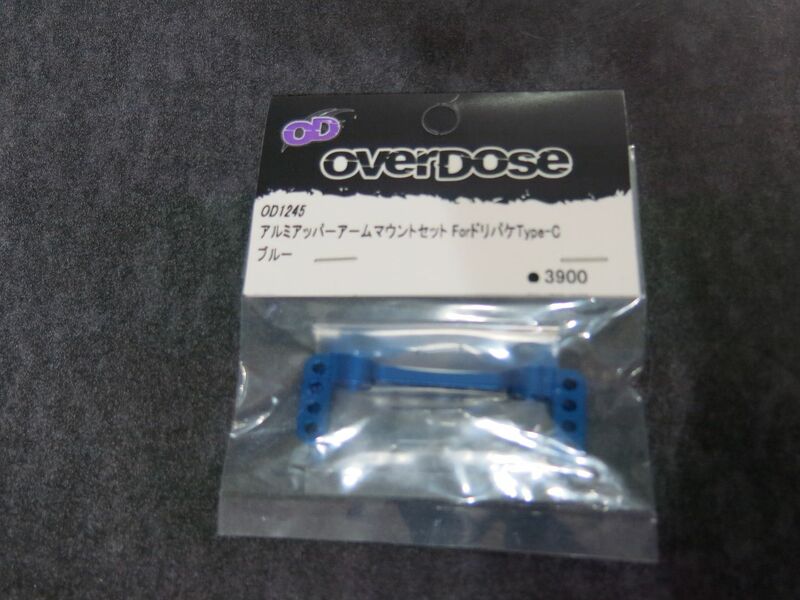 I found the silver active link sus for it too. but it will be a while before it will be presentable. 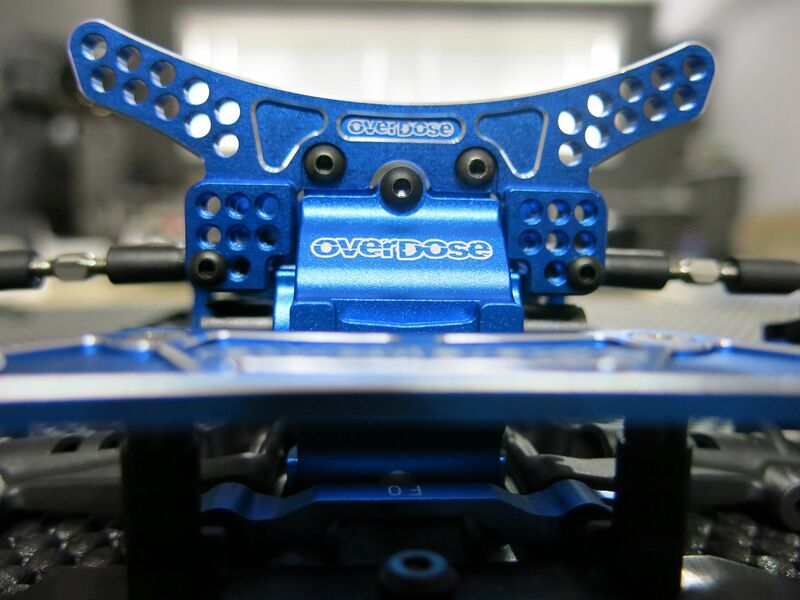 polished the motor mount today. Thanks! I just placed an order for one.